Opera is another form of musical theater, and La Bohème is especially well known because it is the inspiration for RENT. (There's even a song, "La Vie Bohème.") 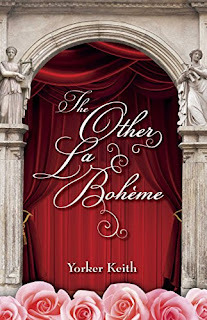 So we figured The Other La Bohème by Yorker Keith would be a perfect way to end our musical theme month! He even has FIVE copies to share with some lucky readers! The Other La Bohème is literary fiction that depicts the lives and loves of four friends who pursue opera singers' careers in present-day New York City. Jennifer (soprano), Stephanie (mezzo-soprano), Henry (tenor), and John (baritone) met in music school in Manhattan, where they performed Puccini's famous opera La Bohème at their graduation concert. After graduation they banded together as a group called the Dolci Quattro, pledging to support one another in their professional pursuits. Several years later, they have landed the roles of Mimi, Musette, Marcello, and Rodolfo in the nearly forgotten opera La Bohème by Leoncavallo--known as "the other La Bohème"--which is to be produced by the New York Bel Canto Opera. The novel begins with arias and a duet sung by Henry and Stephanie in the Café Momus. Jennifer and John come in, and they congratulate each other on their new roles. Immediately, though, the thoughts of the current state of their personal lives cool their enthusiasm. 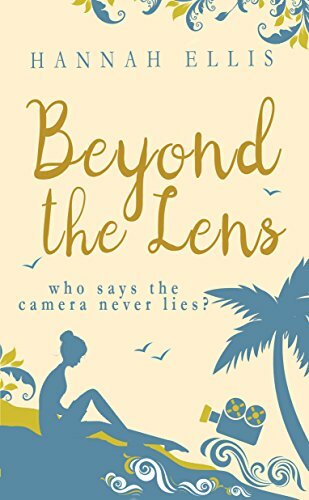 As the story unfolds, Jennifer discovers that her fiancé, Richard, an investment banker and a fiction writer, is having an affair with another woman. Stephanie struggles to find a steady love, while perturbed by a strained relationship with her father, a billionaire hedge fund manager, who abandoned her late mother. Henry faces a pressure from his family to renounce his bohemian life for a more respectful career as he meets his new love, Christine, a poet. John receives a summons for divorce from the lawyer of his wife Michelle, a painter. Set in the rich artistic backdrop of New York City, the Dolci Quattro's lives and loves go through ups and downs in joy and despair, while true to their pledge they give one another much-needed moral support. As the opening night nears, the Dolci Quattro make their utmost efforts to perfect their singing for the opera that will determine their future. Melissa Baldwin is no stranger to talking about musical theater with us. She was here in 2015 to feature See You Soon Broadway (currently 99 cents for Kindle) and share her top five favorite musicals. 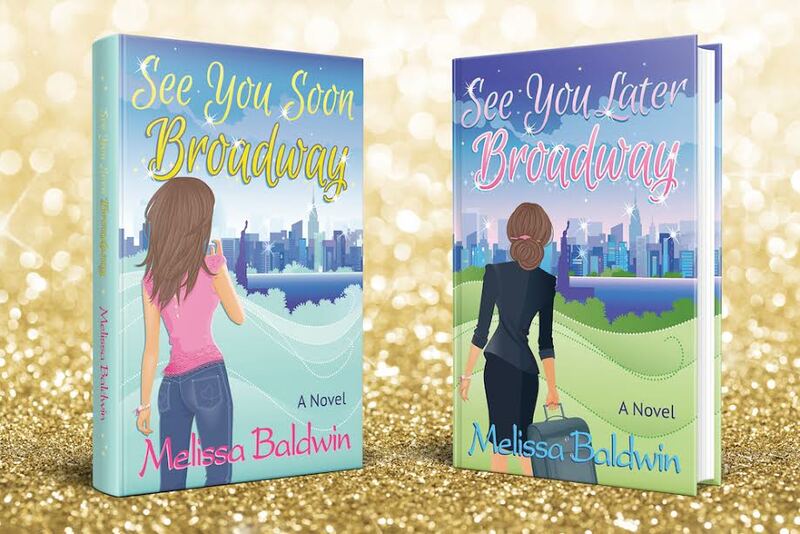 Now she's sharing her top five favorite show tunes in honor of the sequel, See You Later Broadway (available next week). She has a $10 Amazon gift card for one lucky reader (so you can treat yourself to both books)! To learn more about Melissa, visit her at her website, Facebook, Twitter, and Pinterest. "Can’t Take My Eyes Off of You" from Jersey Boys- Ahhh…this song makes me smile☺ Jersey Boys reminds me of my dad. "Defying Gravity" from Wicked- I think we can all agree on this one! "Seasons of Love" from Rent- Oh how I adore this song. Just listen to the lyrics; the message of love says it all. "All I Ask of You" from Phantom of the Opera- This song gives me chills, as does every song from this brilliant show! Thanks to Melissa for visiting with us and sharing an Amazon gift card with our readers! Giveaway ends April 3rd at midnight EST. In the year between Nicole's publication dates, she and I have bonded over lots of common interests. Something we both love right now is Hamilton! When I invited her back to CLC, we decided to do a Hamilton-themed interview. It was a lot of fun, as you'll see below. She really is a mind at work! To learn more about Nicole, visit her at her website, Facebook, Twitter, and Instagram. That’s akin to picking a favorite child, but my absolute favorites are “Helpless”, “The Schuyler Sisters”, and “Satisfied”. I am fascinated by structure and multiple perspectives, as evidenced in my work, and adore the point of view shifts and mesh of musical techniques. Which of the Schuyler sisters is your favorite? Eliza! Am I the only one who sang that answer? The English teacher in me would argue that the show’s title is referring as much to Elizabeth Hamilton as to Alexander. LMM is telling her story as much as his. I admire her unconditional love and extraordinary ability to forgive, not only in word but in action. Which quote from Hamilton resonates with you the most when it comes to writing? “Why do you write like you’re running out of time?” When I am in the zone, I can write non-stop. 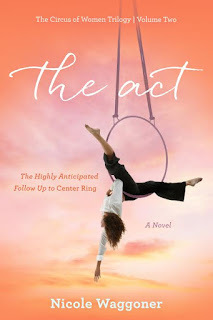 I relish the time when my home is quiet and I can spend time crafting my imaginary friends’ (AKA the characters of the Circus of Women trilogy) lives. An incredibly generous reader recently sent me a shirt with this quote and a note that said ‘because the world is waiting for book two’. My husband always says he knows how their stories end and can be bought. I was waiting to meet a reporter in a little café when another patron asked me what time it was. I said "SHOWTIME!" complete with jazz hands. The explanation was more than awkward. Note from Melissa: There is a cure for that! What is something you learned about history from Hamilton that you didn't know before? I never knew how many ships were in New York Harbor, nor that Alexander Hamilton was the creator of the Coast Guard and founder of the New York Post. I also didn’t know that during our country’s early administrations the loser became Vice President. 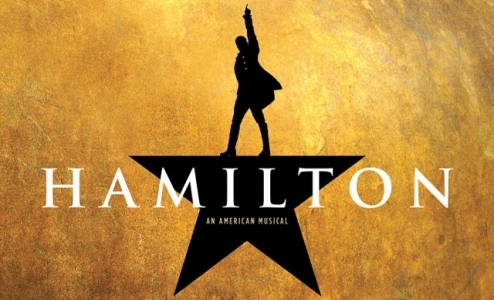 Which character from your book series would enjoy Hamilton the most? Definitely the “Leila” character. She is the most like me and would have been first to catch the Hamilaria. The “Ellie” character would have the connections to sit front row. The “Cami” character would see an interval soundtrack for her run. The “Norah” character would be oblivious until she delivered her nineteenth Eliza (and Peggy) of the week. “Kate” would be engrossed in the pageantry of the costumes and impact on pop culture. Thank you for hosting me today! Chick Lit Central is definitely the site where it happens. Thanks to Nicole (and Peggy) for visiting with us and sharing her book with our readers! We all know that girl. The pretty one. The one whose family has a lot money. The one with the happy, loving parents. The one who lives in the in the big house and who drives the nice car. The one with the perfect life. We all know her and we all envy her. Christina McDowell was that girl – until it all came crashing down. A grand childhood in a tony suburb of Washington D.C. was part and parcel of being the daughter of corporate attorney Thomas Prousalis, Jr., until Prousalis was convicted of numerous fraud charges. McDowell’s ignorant bliss ended the day the FBI raided her family’s home, unearthing the kinds of secrets that truly upend everything and ushering in unexpected, earth-shattering changes. Changes like losing your family home to foreclosure and losing almost every other personal possession to auction. Watching lifelong family friends disappear in the wake of scandal. Visiting your father in prison. Worst of all, realizing your father – your family, your legacy – isn’t at all who or what you believed them to be. The aptly named After Perfect tells the story of just that: what happens after a seemingly perfect private life publicly implodes. 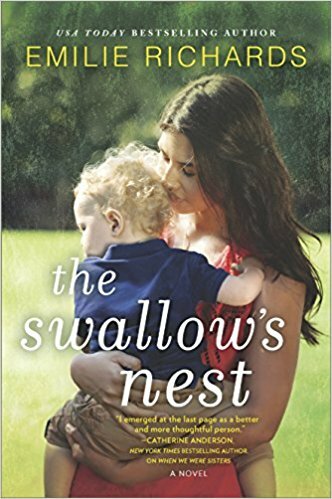 With beautiful, sometimes stinging honesty, McDowell shares the part of the story that the media never seems to touch upon; the pain and desperation of a family left in the aftermath when its patriarch makes criminal choices. 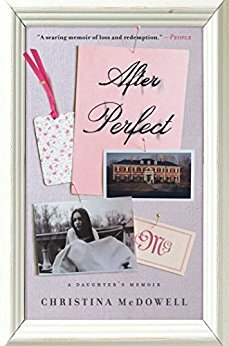 She details the mistakes her father made before his arrest and those made by her and her mother after, in their attempt to survive. 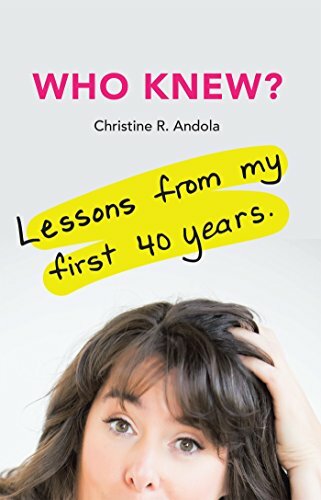 She describes the stress of unpaid bills (including the one for her college tuition), of debt made in her name without her knowledge or permission, of her newly found responsibility for her mother, who’s never once paid a bill or even written a check. 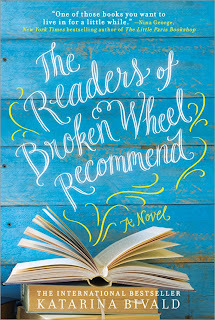 Through vivid flashbacks, McDowell contrasts the ideal life she once had with the uncertain, uncomfortable life that appears to be her heritage. Most captivating, she also contrasts the father she thought she knew – the one who showered her with attention and gifts – with the man who completely abandoned her and her family once he regained his freedom. "What I don’t want to let go of? I don’t want to let go of any of it, I thought as I looked around at my yellow Laura Ashley balloon curtains, where I used to hide my cigarettes, Andrew’s love letters, and the occasional bag of weed. My hand-painted MacKenzie-Childs desk, where I spent countless hours crying over chemistry assignments. . . . The bookshelf. Fine, but that was it. That was all I was willing to let go of. Everything else would be shipped to California; my entire bedroom set. I would take it all with me. . . . I wanted my possessions to cocoon me, wrap me up, and keep me safe from a world that was trying to rip it all away. It would become my way of holding on, believing someday I could put it all back the way that it was and the way that it felt when I walked inside my bedroom that night. Because I would never get the chance to say good-bye before it was already gone." After Perfect is a story of damage and devastation, yes, but it is also a tale of redemption and renewal, if not for the man who destroyed everyone’s lives, then for his daughter – the one who found a way to pick up the pieces and build herself her own perfect life. Denise De Fabio Keliuotis is a Chicago native who recently relocated to Middle Tennessee with her husband and three daughters (one of whom is off at college – gasp!) and four cats. 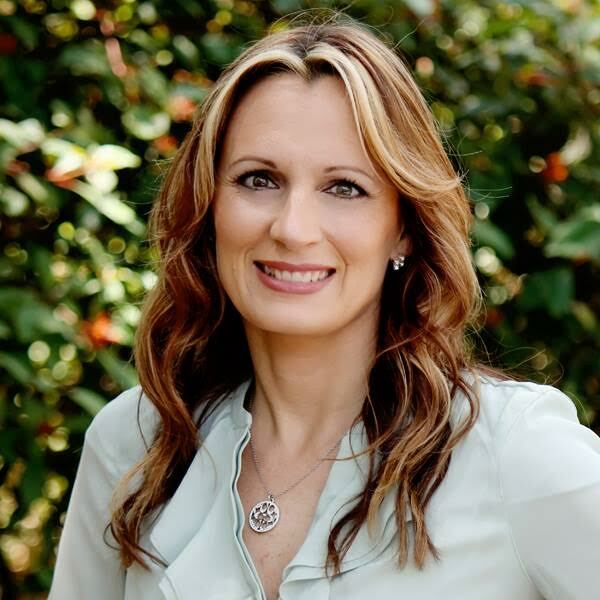 She’s a licensed attorney but is not currently practicing, instead spending her time writing a novel, working as a non-legal special education advocate, and debating whether to break down and buy those cowboy boots. 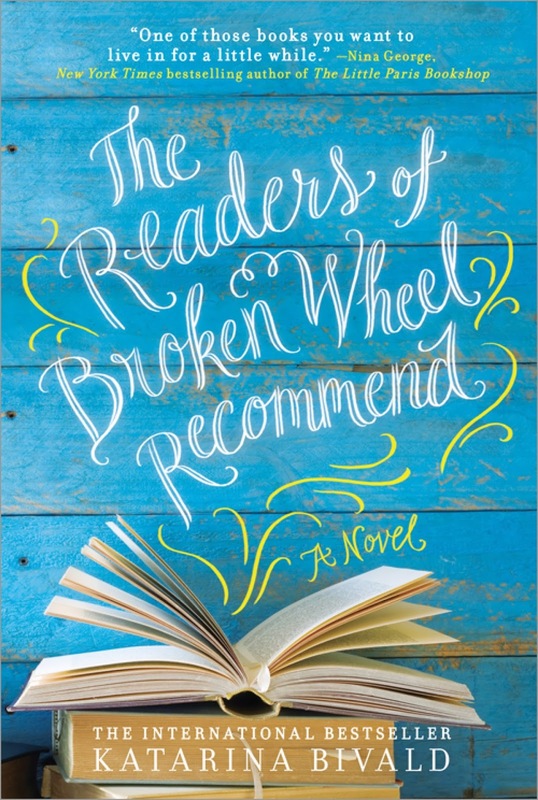 With a beautiful cover and a story set in Haworth (known for its link with the Bronte sisters), I was drawn to the latest novel by Trisha Ashley. The story focuses on Alice ,who as a baby was left abandoned in an isolated spot just outside of Haworth. Luckily, she was found and raised by a loving adoptive father, although also by an uncaring adoptive mother. 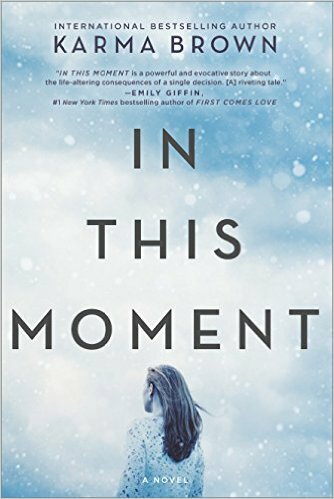 When her father passes away Alice feels lost and subsequently life sees her move from place to place without every really settling down or feeling like she belongs anywhere. Just when Alice is starting to feel settled in a place and in a committed relationship a sad event throws her life into turmoil once more. This time Alice is feeling impulsive and when she sees a lovely teashop for sale in Haworth she strongly feels it’s her calling to go back there, run her own business for the very first time, and hopefully find out more about her birth family. 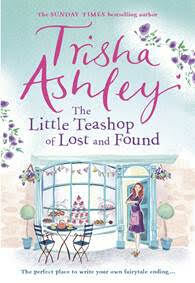 But will the teashop be as good as it seems and will there be a family there to welcome this stranger into their lives? 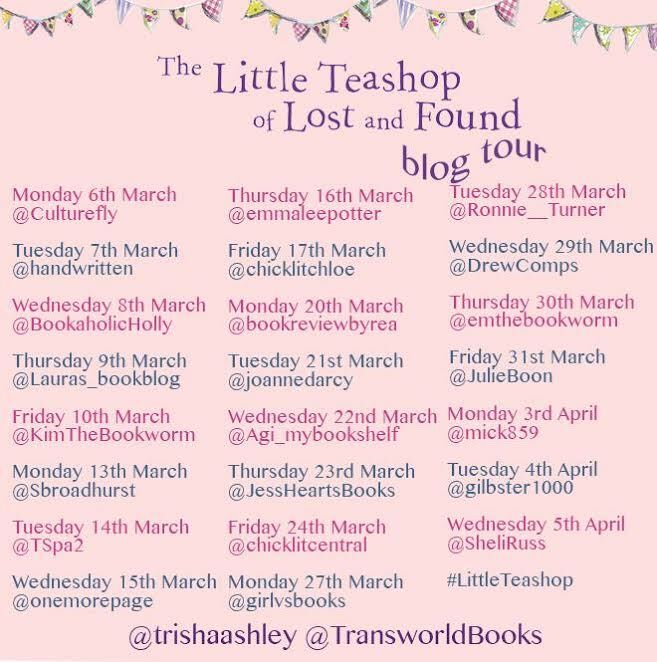 The Little Teashop of Lost and Found is such a lovely heart-warming book and it was lovely to escape to the setting each night. I’ve visited Haworth and surrounding areas a couple of times and it’s such a picturesque and atmospheric place to visit. The feel of this location resonates through Trisha’s writing, and it definitely makes me want to go back and soon! From the eerie isolated setting of Oldstone where Alice is abandoned to the snicket in Haworth where the teashop is located, I really felt like I was there. Lovely rich description, which I felt was built upon as the novel progressed. The story itself is well-balanced and it’s not all about searching for Alice’s birth family, although this is an important element and I was very interested in this story. The narrative is cleverly structured so each chapter begins with a couple of paragraphs from the perspective of the person who left Alice on the moors all those years ago, before going into Alice’s story. I loved these snippets of insight, just a little to make us question who this person is and get to know them, even if they are seemingly very cold. The setting up of the teashop was covered in a lot of detail but interestingly so. (Especially for someone like me, who daydreams about running a quaint little teashop in a beautiful setting!). This is a teashop Alice pretty much has to set up from scratch and I enjoyed reading about all the decisions Alice has to make, from crockery to the bakes for the afternoon teas. I’m glad I live in York as I can go and get myself a fat rascal tomorrow, as these were referenced a few times, it has made me want one! I loved the mix of characters from the lovely Giddings family that embraces Alice when she arrives, to the brooding Nile who runs the antiques shop opposite her teashop, and the rudest waitresses in Yorkshire Alice employs! It felt like a tight-knit community that has all the different types of characters you’d expect to see. My only slight criticism would be that some aspects of the story became a bit repetitive, Alice being invited to stay at Oldstone, talk of Sunday dinners, just little things that I ended up wondering whether some could have been omitted to shorten the story a bit. I don’t think this would have detracted from the story in some places, but as I say only a minor thing and I still loved it! I obviously don’t want to give anything away about Alice’s birth family but to suffice to say as a reader you probably have an inkling of how things will pan out. However, there is also a twist I didn’t see coming near the end but one of those which leaves you wondering how reliable the character is! All in all, a very satisfying, lovely read. Thanks to Transworld (Penguin Random House UK) for the book in exchange for an honest review. 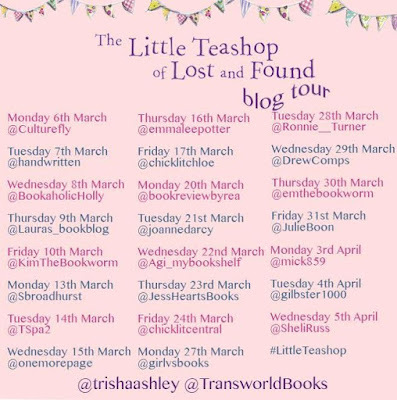 Visit all the stops on Trisha's blog tour. We're glad to have Isabella Louise Anderson back at CLC today. She was here three years ago when her debut, The Right Design (reviewed here), came out. 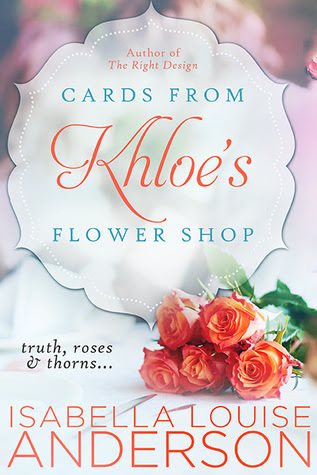 We've been in touch with her throughout these past few years and are excited that her sophomore novel, Cards from Khloe's Flower Shop, is finally available, after hearing so much about it. Isabella has TWO copies to give away (one print and one e-book)! Aside from Isabella's aforementioned novels, she has a short story, “Meet Me Under the Mistletoe,” that was featured in Simon & Fig’s Christmas anthology, Merry & Bright. She’s currently working on another book. 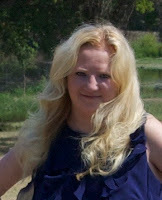 You can find Isabella at her website, Facebook, Twitter, and Pinterest. If Cards from Khloe's Flower Shop were to become a musical (stage or movie), what would the showstopping song be titled? Would it be a ballad or something upbeat? It would definitely be a very moving ballad—something that would make the audience and people around the world “know” the song and resonate with the musical. Who would star in the lead roles of the Cards... musical? Which musical do you fantasize about starring in and which role would you play? I would love to be Sophie in Mamma Mia! Mamma Mia! It’s my absolute favorite musical, (and, of course, Pierce Brosnan is pretty hot!). What is the last musical you saw? The Lion King! While I wasn’t a fan too much of the costumes, the music and acting was great! 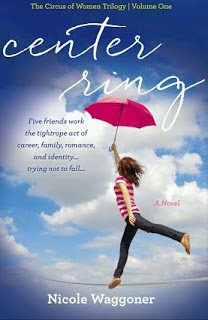 Which chick lit novel (aside from your own) would you like to see as a musical? This is such a hard question, mainly because there are so many great books, but I’d have to say Speak Now: or Forever Hold Your Peace by Becky Monson! Thanks to Isabella for chatting with us and sharing her book with our readers. 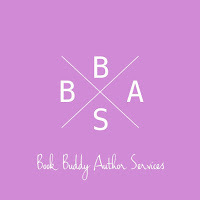 Thanks to Book Buddy Author Services for including us in Isabella's blog tour. Giveaway ends March 28th at midnight EST. 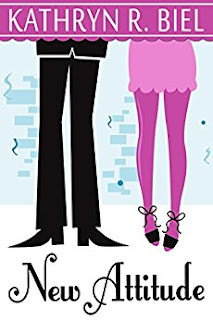 Kathryn Biel's latest novel, New Attitude, was recently published. 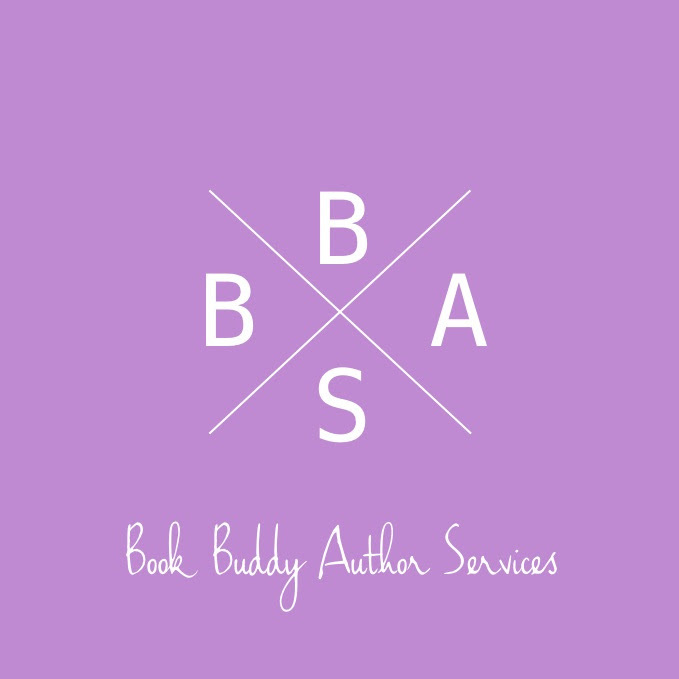 To celebrate, she is giving away e-books of Completions and Connections and Made for Me! 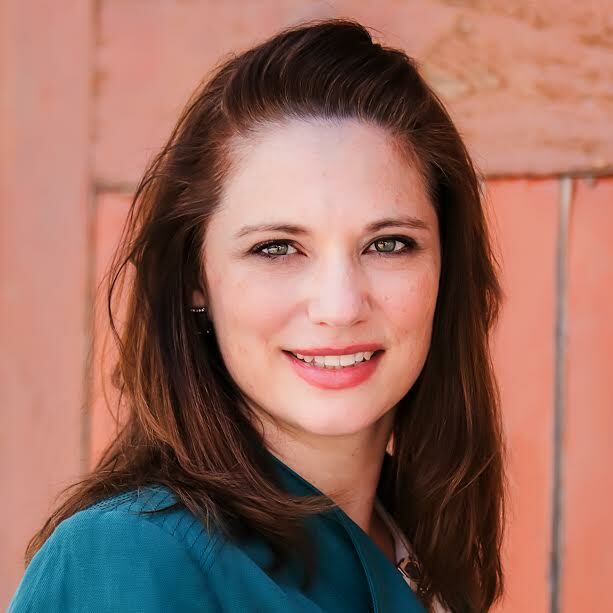 Telling stories of resilient women, Kathryn Biel hails from Upstate New York and is a wife and mother to two wonderful and energetic kids. In between being Chief Home Officer and Director of Child Development of the Biel household, she works as a school-based physical therapist. She attended Boston University and received her Doctorate in Physical Therapy from The Sage Colleges. 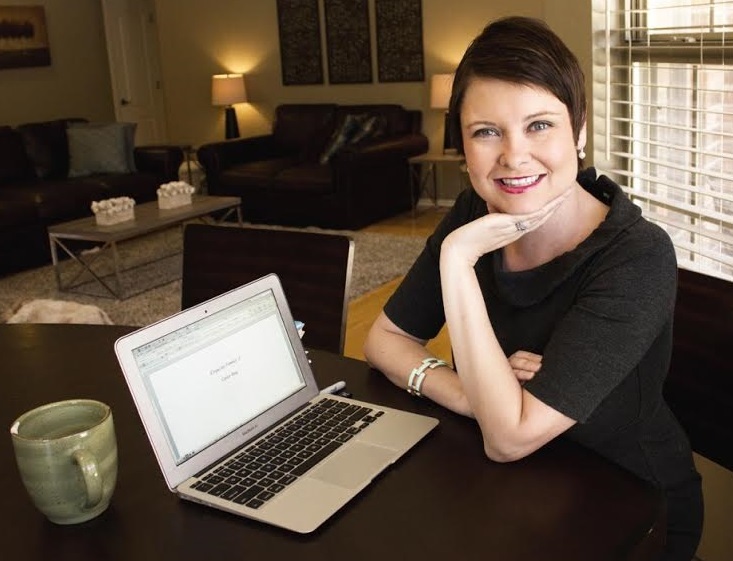 After years of writing countless letters of medical necessity for wheelchairs, finding increasingly creative ways to encourage the government and insurance companies to fund her clients' needs, and writing entertaining annual Christmas letters, she decided to take a shot at writing the kind of novel that she likes to read. Her musings and rants can be found on her personal blog, Biel Blather. She is the author of Good Intentions (2013), Hold Her Down (2014), I'm Still Here (2014), Jump, Jive, and Wail (2015), Killing Me Softly (2015), Completions and Connections: A Romantic Holiday Novella (2015), Live for This (2016), and Made for Me (2016). Visit Kathryn on Facebook and Twitter. Giveaway ends March 27th at midnight EST. We're pleased to bring back our first Go-to-Gay, Wade Rouse, to celebrate the publication of his latest novel, The Hope Chest, written under the pen name Viola Shipman as a tribute to his grandmother, whose heirlooms inspired him to write it, along with his debut novel, The Charm Bracelet. Today, he's taking us back in time to the musicals his grandmothers loved. Thanks to St. Martin's Press, we have TWO copies of The Hope Chest to give away! With each item―including a favorite doll, family dishes, an embroidered apron, and an antique Christmas ornament―the hope chest connects Mattie, Don and Rose to each other and helps them find hope again in the face of overwhelming life challenges. 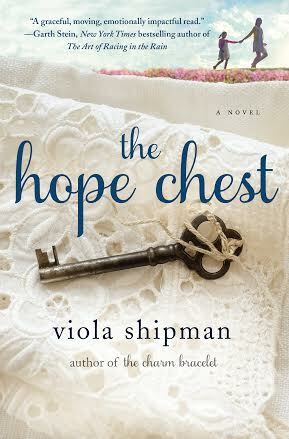 A beautiful story about the unconditional love and support of family, The Hope Chest by Viola Shipman will remind you that hope can be found where and when you least expect it. The first musical I remember watching as a child with my grandmothers was The Wizard of Oz. It didn’t turn out so well. The flying monkeys scared me so badly that I covered my eyes, screamed and finally went running out of the TV room to bury my head under the covers in my bedroom. That didn’t deter my grandmothers from making me watch movies with music (Fantasia went much more smoothly) or further indoctrinating me to Judy Garland. 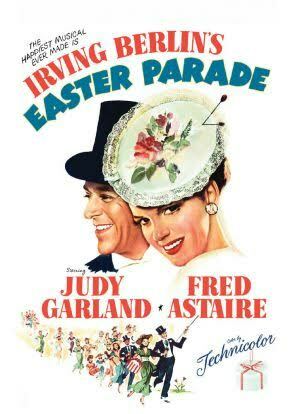 The next Judy musical I watched – snuggled between them, eating candy straight out of my basket – was Easter Parade. This time, I didn’t cover my eyes, scream or run out of the room. I sat up a little straighter and smiled. When Judy and Fred Astaire sang “A Couple of Swells,” I remember getting up and taking a seat right in front of the TV, mesmerized, watching them dance in a fantasy world as make-believe characters. Next came Meet Me in St. Louis, which, ironically, was the big city I dreamed of living in as an Ozarks child (my grandfathers and father LOVED the St. Louis Cardinals and listened to every game on the radio). This one hooked me even more with its songs and its beauty, and I eventually would live in St. Louis partially because of the spell this movie cast on me. That started a tradition: Whenever a movie musical was on, my grandmothers would call me, and we’d plan a night together, just the three of us, and our imaginations. 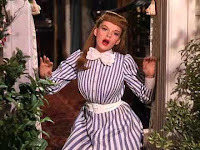 We watched more than Judy, of course – Oklahoma, Auntie Mame, The Sound of Music – but Judy’s musicals remained our favorites. Whenever one of her movies was shown on TV, or featured at the local, old-time theatre, we would watch or go, the three of us. “If hope had a voice, it would be Judy’s,” she said. I use her quote in my new novel, The Hope Chest. In fact, one of the chapters in the book centers around an old Judy Garland ticket stub that is found in the long-forgotten hope chest of the main character, Mattie, a woman in the final stages of ALS. Mattie grew up loving Judy Garland (and living in St. Louis), and she passes along her love for the star and of movie musicals to her caregiver, Rose, and Rose’s young daughter, Jeri (who is named after my own mother). Watching musicals with my grandmas still fills me with great warmth and memories, but, more importantly, that experience changed me greatly. It caused me not only to see the world differently but also challenged how I wanted to be a part of it. As a result, I took music lessons. I played trombone. I sang. I acted in plays and musicals. I read books. And, of course, I began to write. 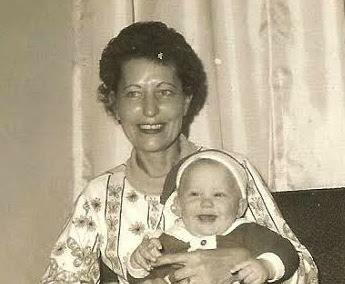 Like my debut novel, The Charm Bracelet, The Hope Chest is inspired not only by my grandmas’ heirlooms but also by their lives, lessons and love. It was their belief in me and sacrifices for our family that changed the course of our lives and allowed me to be who I am today. Viola Shipman – the pen name I use for my fiction – is my maternal grandmother’s name, and I chose it to pay tribute to my grandmothers as well as all of our elders, whose voices, stories and sacrifices are too often overlooked today. I still curl up on the couch and watch musicals, old and new, and I continue to feel the presence and impact of my grandmothers when I do. 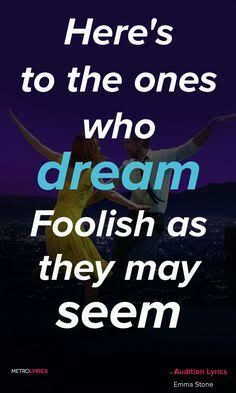 I recently saw a new movie musical, LaLa Land, and I thought of my grandmas much of the time, thinking of how much they’d love the movie. Near the end, when Emma Stone’s character – who is about to give up her dream of being an actress – sings a number entitled "Audition (The Fools Who Dream)," I began to weep openly. So loudly, in fact, that many turned around to see if I were OK. I had been where Emma Stone’s character had been many times in my career, on the verge of quitting, of thinking that my dreams of being a writer were simply pipe dreams. But something deep inside me always urged me on, sang to me, like my grandmas did when we watched musicals together. It was fierce determination and a bit of madness, of course, but most of all it was hope. Hope that I could make the world feel, think, see just a little bit differently from my words. In the end, hope sang to me, so loudly it won out. 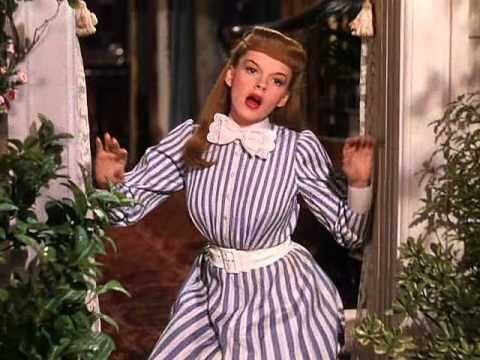 And it sounded just like Judy Garland’s voice. We're pleased to have Josie Brown here today to talk about her recent Oscars experience. We love Josie and her books (especially the Totlandia series) and we think you'll enjoy what she has to say. She even has an e-book giveaway at the end. 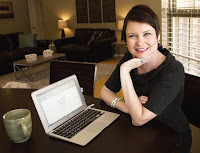 Contrary to anything you may have heard from Chick Lit Central’s Melissa Amster, I had nothing to do with the envelope mix-up at the Oscars. If you don’t already know, Moonlight won, although the envelope for Best Actress was handed to Warren Beatty, which is why Faye Dunaway, who presented it with him, called out La La Land. 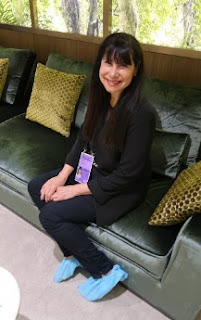 At the time, I was backstage in the Press Room. EVERYONE gasped. Almost every question asked of Emma Stone and anyone with a La La Land Oscar grasped in their hands —or for that matter, to Moonlight’s director, Kevin Johnson, its screenwriter, Tarell Alvin McCraney, or Mahershala Ali, the film’s stars and the winner of Best Supporting Actor—was about the envelope mix-up. 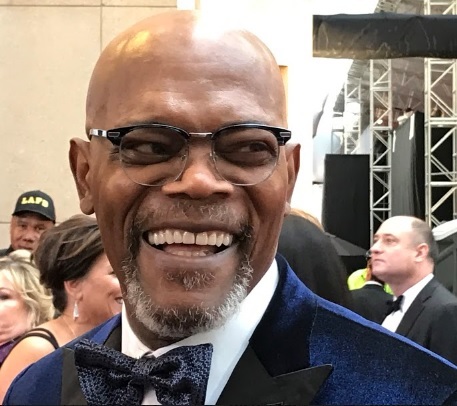 It may have been the most talked about incident, but for someone like me, who was attending the Academy Awards for the very first time, this historical event was just the icing on the gooey confection of flashing cameras, screaming fans, and glamorous stars. I was invited as the guest of a journalist friend. My role there was to help him with his social media. 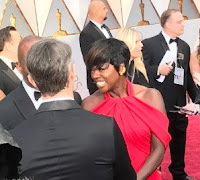 In return, I’d get great background research for any future glam lit novels (in fact, both Hollywood Hunk and Hollywood Whore have Oscar scenes in them) and I certainly got up close to some folks emitting enough star wattage to send a message to Mars. The Academy Awards take place at the Dolby Theatre, which is part of a multi-level outdoor mall complex (with more than three-hundred days of sunshine, of course it would be outdoors!) at the corner of Highland and Hollywood Boulevards. Flanking all of this is Loews Hollywood Hotel, which is essentially Ground Zero for all the action when it’s not on the red carpet or in the theater. Yes, I was impressed. Make that mesmerized. Every day—several times a day, in fact—I’d be running from the hotel through the mall and onto the red carpet: the length of several football fields. This gauntlet has numerous security checkpoints, for which the proper passes are needed. The press shows up as early as the Wednesday prior to the event. By then, the bleachers are in place for fans on one side, and risers for the press on the other, along the “boulevard”—the path between the underground garage and the theatre. The red carpet has also been laid down, although you wouldn’t know it, considering the layers of plastic covering it, so that workmen, camera people, and the news talent can’t sully it before the first stars make his or her appearances on Sunday. To add to the mystique, a three-story curtain blocks that end of the mall. 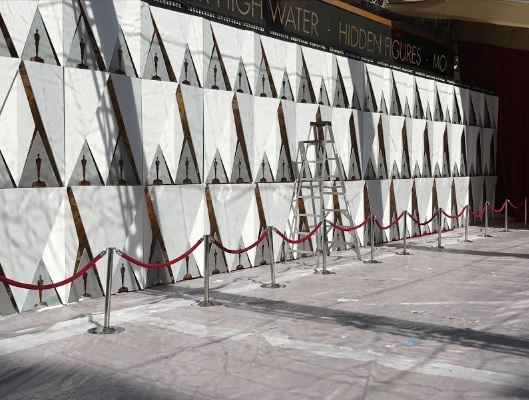 The only way onto the red carpet—or for that matter, into the Dolby Theatre—is through several layers of security. If you don’t have a pass, forget about it. It truly is the golden ticket! By now, news crews from all over the world are arriving. Each has been given a small piece of real estate—at the most three feet by three feet—on one of the press risers that runs the full length of the red carpet. And yet, my friend was able to make "entertainment news magic," despite my fumbles and lack of a learning curve). 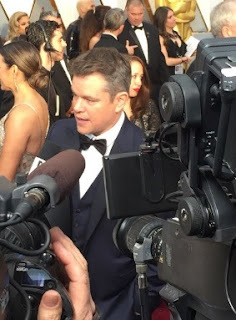 (By the way, the red carpet is not a straightaway. It bends, like an elbow, in front of the largest of the two stages set up for the sponsoring network’s news talent: in this case, ABC’s Good Morning America. Between now and Saturday, several times a day the news talent and his or her camera crew will shoot and edit short segments and teasers in order to excite their networks’ audiences. Remember: the Oscars are the entertainment industry’s equivalent to the Superbowl. Just as much ad revenue is on the line. The more viewers you can get, the more money you can demand from advertisers. With each passing day, something new is revealed on the red carpet: a change in the backdrop, say; or how the lights are hung. Workmen are everywhere, doing the tiniest of things, including polishing every surface to a far-thee-well. We were allowed a full hour in the Green Room (in this case, it truly is green) which gave us time to give my friend’s audience a walkthrough teaser. Think of it as an elegant party room that looks out onto a beautiful forest—an optical illusion, really, since the room has no exterior windows. However, the walls are lined with backlit photographic panels of copses of trees. Besides a wet bar and healthy buffet, there are several couches and comfortable chairs. A few photos of past winners line one wall. The Green Room is an oasis of calm: much appreciated, I’m sure, considering the energy level throughout the big night. For the next forty-eight hours leading up to the event, the Lowes Hotel goes into lock-down for anyone NOT connected to the Oscars—staff, press, publicist, handler, or star. Every day came with new instructions from the journalist’s producers as to suggestions on story angles. For example: what fashion trends could the audience expect to see? And, how much would politics affect this year’s event? On the day of the big event, I got up early in order to get ready: make-up, gown, French Twist. Everyone must dress up, even the cameramen and women. That means the guys where tuxes (some of the ladies, too) but at least they can wear sneakers. My biggest dilemma was deciding which shoes to wear. I’d been told: make sure they are comfortable. Really? Sneakers under a gown, when I bought some beautiful sparkly ones, just for the occasion? I just couldn’t…. Fans lucky enough to hold a lottery ticket to get them into the bleachers were already there. Their shouts would crescendo with the arrival of the stars. Then things happened fast. From our little sliver of riser, we took pictures quickly and uploaded them onto Instagram, Facebook, and Twitter. In the ninety minutes of red carpet fanfare time flew by. Shoes: OFF! I wasn’t alone. Practically ever woman had yanked them off by the time I reached the Press Room—unless they were smart enough to just wear booties, flip-flops, or sneakers under their dresses. Comfortable chairs. I grabbed one in the second row, which was great for catching all the interview questions. By the way, no photos or video can be taken in the Press Room unless you’re one of the few photographers licensed to do so. At this point, my role is strictly transcription. - EXHILARATING. The Academy prides itself on glitz and glamor. It never fails. - MESMERIZING. There is an energy coming off the stars walking the red carpet to stop you in your tracks. Forget yoga pants and sans makeup, as you’ll probably catch them in the Verve coffee bar in WeHo. While the Oscars Red Carpet in all their finery, they look exactly like you’d hope to see them: emitting enough star power to light up a galaxy. - The PERFECT place for stargazing (if you aren't under eight different media deadlines within a two-hour period). And last but in no way least…UNFORGETTABLE. 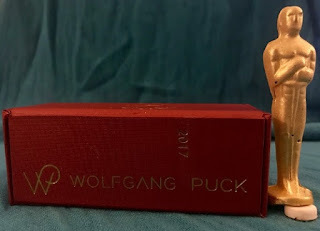 And yes, I came home with a chocolate Oscar, courtesy of the Governor’s Ball and Wolfgang Puck. Will I eat it? No way! I’d rather hold it and while I give an acceptance speech. In honor of my Oscars experience, I’m giving away two digital copies of my 3-episode novella set, Hollywood Hunk. To enter this drawing, you must read the excerpt here, and correctly answer this question: What is the name of Louis’s talent agent? You can also get a copy of another True Hollywood Lies novel, Hollywood Whore, just by signing up for my eLetter. Thank you, Josie, from all of us at CLC!